Printing Material: We use long-lasting plastic PVC & Polycarbonate for manufacturing these identification cards. 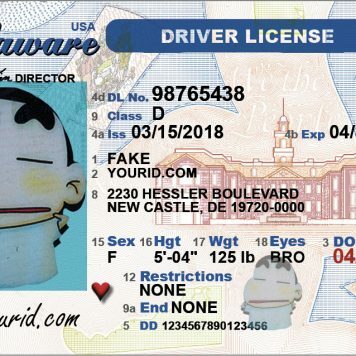 Template in use: We currently issue the updated template of the newly released DMV licenses. Our fake id cards now prints on two templates. 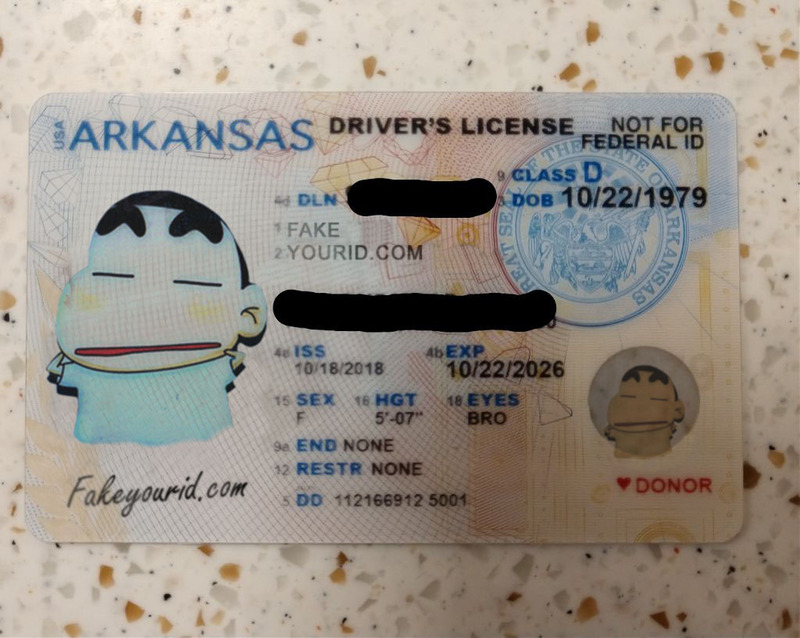 You can select “Arkansas (NEW)” for the updated ID or “Arkansas (OLD)” for the previous one. The newer card comes with Diamonds & Arkansas State Capitol’s Bronze Doors illustrations in the background. 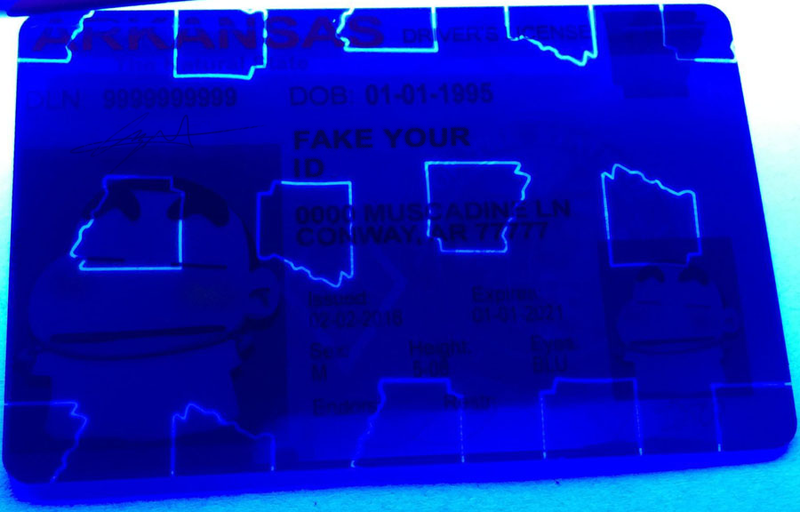 An OVD of the primary portrait serves a hologram for the ID & visible under UV light. 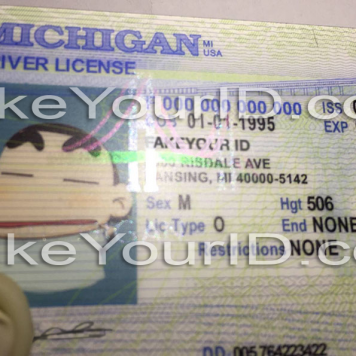 A cardholder’s duplicate ghost photo is replicated and placed at the right bottom of the id. It comes with two signatures. 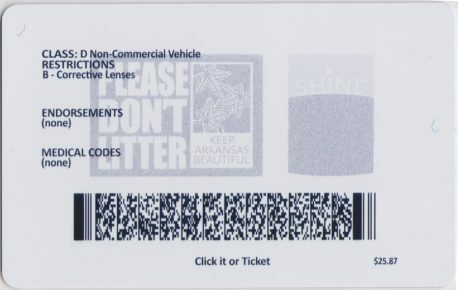 An unusual characteristic that no other id vendor presents is that a security lamination is covering each card to provide additional real touch to it. 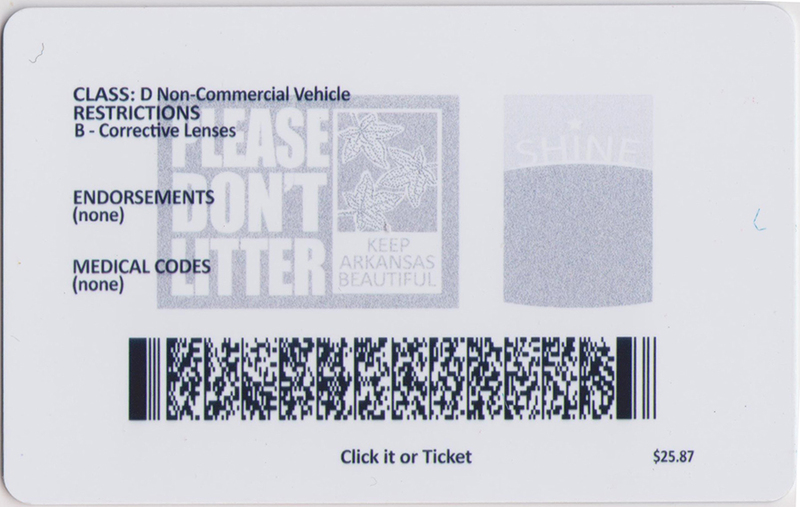 The state outline appears random in three rows across the top, middle and bottom of the license under the ultraviolet light. The holograms of Arkansas state seal and flag is visible when viewed at an angle. The ID comes with a 2D barcode which gives the cardholder’s information to the scanning machines. Arkansas is a unique plastic card for identification. It is durable, and the template changed last time in 2011. 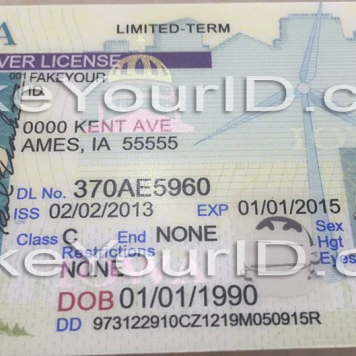 The card has a blueish structure to it and is in compliant with the real id act. We recommend this license for out of state bars and nightclubs. Identification with this ID has had a great experience for our customers in most instances. As an average, three out of ten orders that we receive and process are for this state. 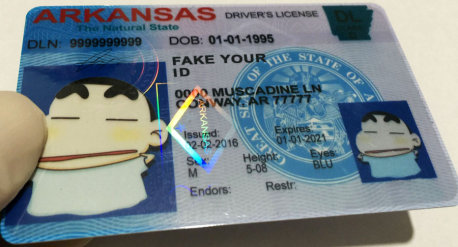 The Scanning success of our Arkansas fake id depends on a number of factors.